This solar lamp relies on solar energy, which is clean, endless and environment-friendly, the solar panel can convert the solar energy to electric energy and store it in the battery. 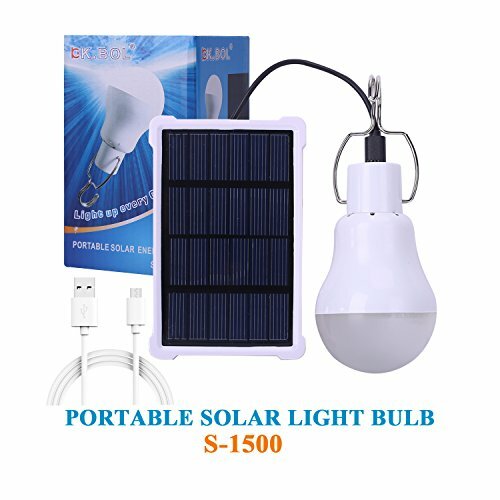 The system is mainly composed of solar panel, light source and lithium battery.Energy Saving, Long Life Expectancy, Low Power Consumption, Rechargeable. This solar light relies on solar energy, which is clean, endless and environment-friendly. Long Life Expectancy, Low Power Consumption, Rechargeable. lighting ,cooking, working, reading, emergency and blackouts, etc. 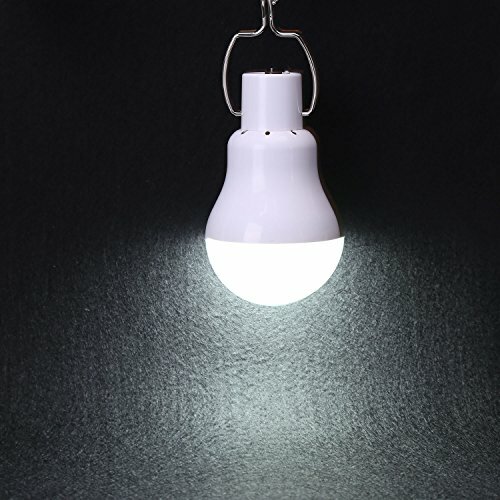 The charged bulb can be used as a mobile lighting lamp. 1, Maximum brightness of bulb: 150LM (equivalent to a 15W incandescent lamp). bulb: 7h; Bulb Using Time: 5-7hours. 3, Battery can be fully charged by the photovoltaic panel under a sufficiently sunlight condition. 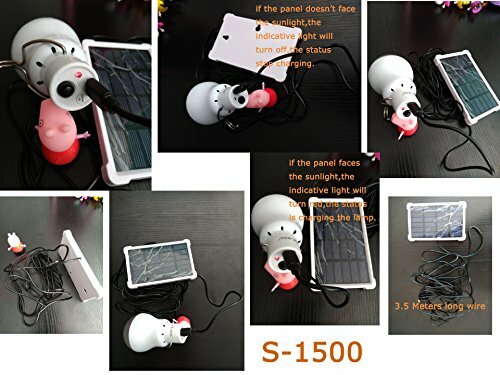 Note: The solar lamp can be used in any weather, but it is not waterproof.